Opening: 18 September 2017 at 4.45 p.m. 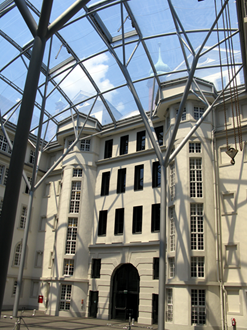 The Exhibition, “Interconnecting Forests, Science and People”, installed in the inner courtyard of the Faculty for Environment and Natural Resources (the Herderbau), concentrates on three interconnecting elements: a Forest Science History Exhibition, an artistic photo exhibition and a connecting lounge space where visitors are invited to relax and contemplate the exhibition. The Forest Science History Exhibition is inspired by forest history, particularly the activities of the International Union of Forest Research Organizations (IUFRO). The six stations focus on research themes of historical relevance and the activities of various IUFRO Divisions. The photo exhibition, entitled, “Traces in the Forest”, offers a spatiotemporal interpretation of the relationship between people and the forest. The Exhibition Interconnecting Forests, Science and People is a production of the Faculty of Environment and National Resources, University of Freiburg. The installation itself was designed and constructed by students from the University of Arts and Applied Sciences in Freiburg. After opening remarks, Prof. Victor Teplyakov will present the book. Prof. He will be followed by former IUFRO Presidents, Prof. Em. Don Koo Lee and Prof. Em. Walter Liese, and long-term IUFRO Secretary Dipl. Ing. Heinrich Schmutzenhofer. Dr. Chang Jae Lee and Dr. Ho Sang Kang, in recognition of the support from the Republic of Korea for the English translation of the book, and Dr. John Parrotta, editor, will also say a few words. Former IUFRO presidents and vice-presidents as well as other IUFRO officers, colleagues and friends are expected to come. Book Launch 2: Gender and Forests: Climate change, tenure, value chains and emerging issues. Edited by Carol J. Pierce Colfer, Bimbika Sijapati Basnett, Marlène Elias. Routledge 2016. After a brief presentation of the book by the editors and contributors, there will be an opportunity for questions and discussion from the participants. Organizer: Park, Pil Sun, Prof.
After a five year hiatus, the International Society of Tropical Foresters (ISTF) is being reactivated. This group aims to connect all who are interested in international tropical forestry, from the forester and conservationist in the field to government, industry, NGOs, and academia. All are invited to attend the business meeting to discuss strategies for forming the new ISTF. For this networking session, we welcome participants who are interested in orphaned tropical forest datasets. We are trying to locate these data sets, which are scattered among different institutions and individuals. Some of the data are available only on paper, some are digitized but in old formats, and some are still undiscovered. These data sets may become lost and with them our ability to assess historical changes that can inform research and policy development for land use change and landscape resilience. If you can help us in locating information on such datasets, or are interested in the topic, please come to the session. 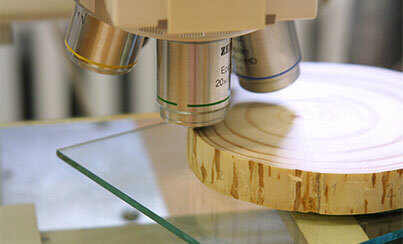 Innovative Laboratory Techniques and Analysis Methods in Tree-Ring Research – Visit the Tree-Ring Laboratory of the Chair of Forest Growth and Dendroecology, University Freiburg, in cooperation with the Dendrosciences Group at Swiss Federal Institute for Forest, Snow and Landscape Research WSL.